I was provided a complimentary copy of this book by the publisher through BookLook Bloggers in exchange for an honest review. The boys and I learned about Don Freeman at the library in January this year. He was the author of the Corduroy books, which are beloved classics in our home. I was interested to see what this book was about because I had never heard of it before. Don Freeman passed away in 1978, and left behind hundreds of sketches and drawings. His wife thought these should be put into a book for all the Don Freeman fans. 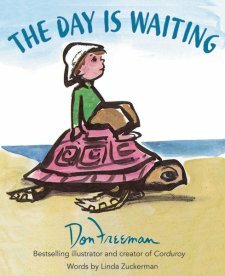 A close friend of Don Freeman's, Linda Zuckerman who knew his personality set these beautiful illustrations into words in this amazing book. The book is a hard cover and Linda Zuckerman used a melodic rhyming method that just makes you feel like you are soaring through the pages and illustrations. In the story, the reader becomes the main character traveling through an adventure of far away lands and visiting animals, and brings you safely back home. It would be a wonderful bedtime story to read to your child and whisk them off to sweet dreams. There were many things I liked about this book. There is scripture quoted in the back of the book, and I thought it was such a touching tribute to collaborate these gorgeous illustrations into such a beautiful story. It is a children's story so it would be an excellent book for any child, parent, or grandparent to read and share together. The wording and the pictures are also whimsical so I think any fan of Don Freeman, or of art would also appreciate this book. Thanks for stopping by to read my review! If you would like to see other reviews of this book or learn more about the author, please click here. Hello and thanks for stopping by! 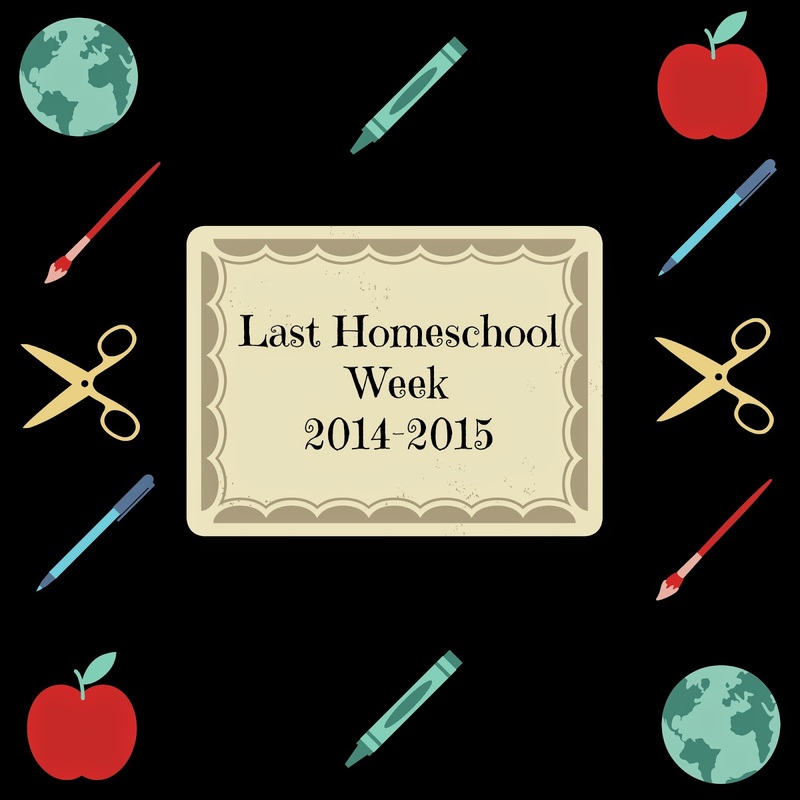 We finished Week 36 last week of homeschool and the boys finished strong at 166 days of homeschool! I am so incredibly proud of them and all of their hard work. B had his Kindergarten graduation a couple of weeks ago and we go for our first homeschool evaluation soon! He has learned to read this year and really enjoy it. His favorite author as of now is Julia Donaldson. We have 12 reading lessons left for the summer and I am going to have him wrap up his remaining lessons on ABCmouse. Disclosure: This post contains affiliate links and I will be compensated if you make a purchase after using these links. Thanks for supporting my site! G starts pre-K next year and I was excited that he wrapped up the year knowing how to spell his name, the alphabet, and how to count from 1-20. He is in the pre-K section of ABCmouse so he already has a head start for next year! As for me, I am looking forward to a more relaxed schedule and just being Mom with the boys. There's some awesome activities at the library this summer and we are excited to join the local swim club, and get to meet new friends. I'm hoping to be able to make a more clean design for my blog, and also do some writing and reading this summer. Thanks for being a part of all this with us. It means a lot and I appreciate you all! Tuesday - G did Lesson 18 - Reading: Put It All Together, A-H and B did Lesson 16 - Reading: Farms Letters and Words on ABCmouse. B did Lesson 85 in 100 Easy Lessons. His new words were digging, must, dug, yard, hole, and leave. The boys also watched Green Eggs and Ham and Other Stories. Thursday - B did Lesson 86 in 100 Easy Lessons and his new words were quick, quit, qu and quitting. G did Lesson 20 - Reading: A to H at the Zoo on ABCmouse and we all read Charlie Cook's Favorite Book by: Julia Donaldson. Friday - B did Lesson 20 - Reading: Food Words, Part 2 and G did Lesson 22 - Reading: The Letter I and Lesson 24 - Reading: The Letter J on ABCmouse. Saturday - Today, we read I Love You, Stinky Face by: Lisa McCourt, The Story of David and Goliath by: Alice Joyce Davidson, and Not Your Typical Dragon by: Dan Bar-el. Monday - The boys and I colored a TMNT Coloring Poster, a gift from the boys' grandparents. Tuesday - B made some Pokémon characters out of construction paper and markers. G did Lesson 19 - Art: Primary Color Blue on ABCmouse. Wednesday - Saturday: - The boys played outside with their friends. The weather has been nice and everyday they were outside playing on the playground and running around. Friday, we also listened to the song, "The Ants Go Marching" on ABCmouse. Last Day of School Photo! Summer has begun! Monday - The boys cut and pasted a Butterfly Life Cycle sheet we got at the library. Tuesday - B answered reading comprehension questions and one of their friends came over for a play date. Thursday - More playing with friends today and B answered more reading comprehension questions. Saturday - The boys played with many friends today the playground. Tuesday - B wrote th and d for his reading lesson. Thursday - B wrote z, b, one and two. Friday - B wrote eight and ten. Saturday - B started to make his birthday list of things he wanted such as: Super Hero Mash-ems, Hulk, Iron Man, Captain America, Hawkeye and Loki. Tuesday - B did Lesson 17 - Math: Zoo Numbers on ABCmouse. Thursday - B did Lesson 19 - Math: 1 to 10 Words and G did Lesson 21 - Math: Number 4 on ABCmouse. Friday - B did Lesson 21 - Math: More 1 to 10 Words and Lesson 25 - Math: More Circles on ABCmouse. Saturday - We played The Game of Life today. They love playing this game! Monday - We talked about the life cycle of a butterfly today and started a butterfly garden right outside the office window. Thursday - B did Lesson 18 - World Around Us: Moon and Sun on ABCmouse. Friday - We saw our first butterfly come to our garden today! G did Lesson 23 - World Around Us: People at Work on ABCmouse. TenMarks - Free Summer Math Program! 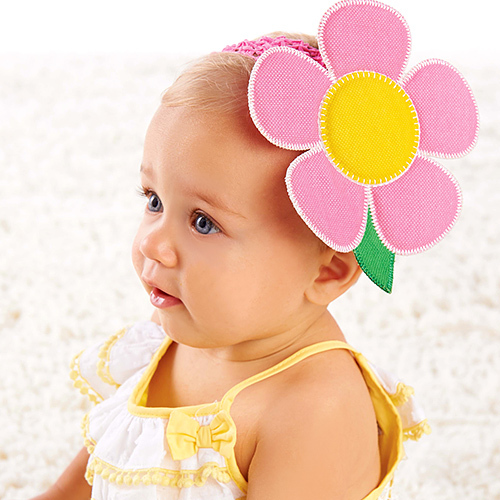 - Save $39.95 per child!!! Elementary Geometry Software - Save $21.98!!! Freebie this week on #CurrClick. 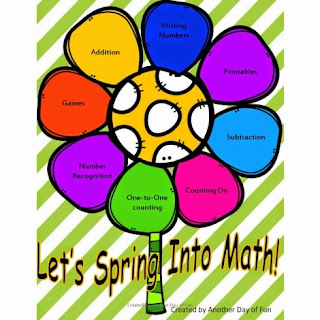 Spring Math Preview Set - Save $2.00!!! Freebie this week on #Educents. As a Member for the Motivate Your Child Action Plan Launch Team, I received a copy of this product in exchange for my honest review and promotion. This post also contains affiliate links and I will be compensated if you make a purchase after clicking the links. Thank you for supporting my site! A few months ago, I had the privilege of being a part of the Motivate Your Child launch team. My review on this book can be found here, and it really changed the way I parent. To my surprise, it also changed the way my husband parented. 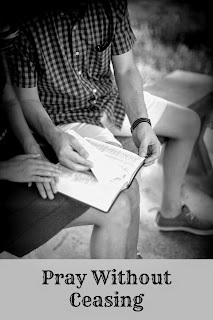 Even though he did not read the book with me, he saw the changes I was making with my parenting from reading the book. He became interested in these changes and became more open with how he wanted to parent our sons. The authors, Dr. Scott Turansky and Joanne Miller, RN, BSN talk about what is called heart parenting in this book. 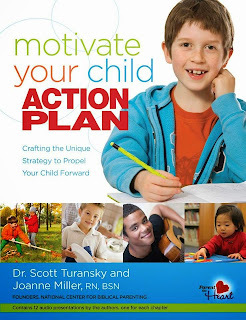 I can't tell you how excited I was when I heard that there was a Motivate Your Child Action Plan to accompany Motivate Your Child. This was wonderful because it has parents dig deeper into the personal lives of their parenting and the unique, beautiful differences of each of their children. It is a work book that asks specific questions, and helps outline the best ways to communicate with children. There are even references in the book to certain chapters to read in Motivate Your Child to help parents even further. 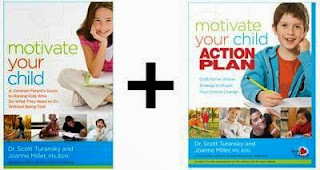 Motivate Your Child Action Plan also comes with 12 audio teaching lessons from the authors! There is an abundance of heart and wisdom that went into writing these spectacular books. The authors quote scripture that relates to what they are talking about. It has parents focus on what their family goals are, focuses on the qualities of the child, and gives a path to get there. This book equips parents with so many different scenarios and how each one can be dealt with by using heart parenting. Come celebrate with us! There will be lots of great prizes and both Dr. Scott Turansky and Joanne Miller, RN will be there to answer your parenting questions! The winner of the giveaway will be announced at the Facebook Launch party! The very first page of the book, before even the title page or anything there is a letter from the authors. On this page, they say, " This isn't one of those books you read through once and you're done. 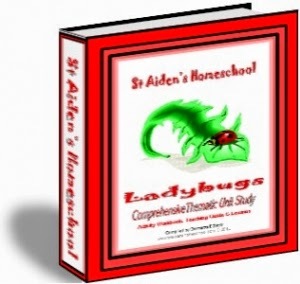 This book outlines a process that you'll use over and over again with each of your children." How very true that statement is! It is a thought provoking book to help parents connect with their children. I very much enjoyed reading this book and capturing my own family goals and how to obtain them. I would definitely recommend this book to any parent, grandparent or guardian of a child. What a gift these authors gave in helping parents realize how to effectively and lovingly raise children into motivated individuals. 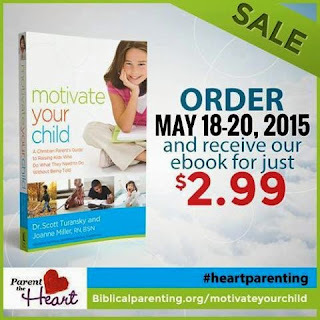 Buy Motivate Your Child & Motivate Your Child Action Plan books together and save! : Buy the two books together and save $19.95! The two books together are on sale for $36.99! 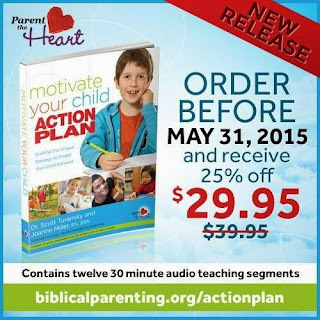 Motivate Your Child Action Plan for $29.95: Save $10.00, but hurry and order before May 31, 2015! My husband and I were talking this week, and it’s hard to believe we have been married for almost seven years. We are high school sweethearts who separated in college, but always remained friends. God brought us together a few years after that and we have had two wonderful little boys together. I think back to when we first were married. We lived in a tiny studio apartment, which we upgraded to a one bedroom apartment. It was then we found out we were expecting, so we rented a house. When our oldest was born, I managed to make it back to work for two days. On the third day of getting ready for work, mascara running down my face and me a mess, my husband said, “You’re staying home. I don’t know how we are going to manage but I can’t see you this upset everyday.” I love him so much that he was able to do this for our family. God provided for us. We went from having two cars to one. I learned to coupon and how to make meals, instead of going out to eat four or five times a week. My husband ended up making more money than when the two of us were working. The house we rented ended up not being a great neighborhood to live in, and by the grace of God, we were able to buy our first home in a good neighborhood. It was a three bedroom townhouse with a garage. It was here we learned that we were expecting our second child. At times, money was very tight but we relied and had faith in God. 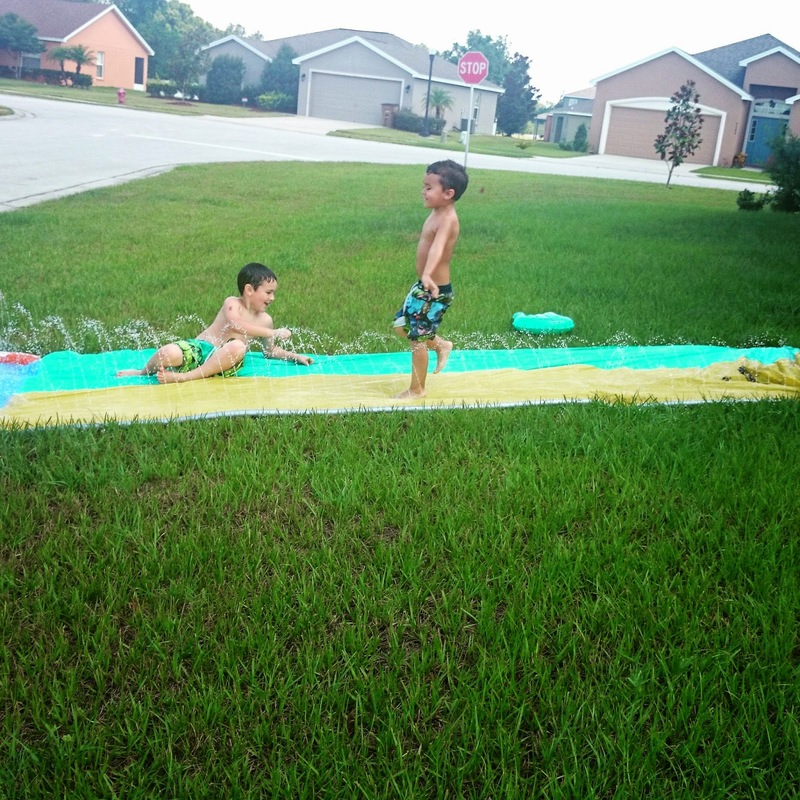 We were given two healthy boys after two very difficult pregnancies. I was beyond thankful for everything God had given to us. After living in our house for five years, God placed a calling on both mine and my husband’s hearts. We realized it was time to sell our house and move to where we felt like God was leading us. This was not an easy feat and it took us about eighteen months to sell our house. Again, God provided. We were able to sell our house and have just enough money to rent something while we built a brand new house. We moved twice in six months but in that time, found a church that felt like a second home. We were surrounded there by people who loved and accepted us immediately. After almost four years of having no second car, we were able to afford a second vehicle. Our sons now have a big backyard to play in and so many friends to play with. We also just got back from our first family vacation. Our last one was five years ago. People would have thought we hit the lottery to afford such things but we knew it had all come from God. When we would run into something that was hard to go through, God was there with us to carry us through. The harder things got in our lives, the harder we prayed. We know who is leading our lives and we had faith. I love these verses. It reminds us to always be not only thankful, but also joyful no matter what is going on in our lives. You may be at a down point in your life, but have faith. You may not think God is hearing your prayers because He may not have answered the way you wanted him to, or it may seem He may not have answered them at all yet. I know what it is to wait months and years for an answer. We serve a mighty God though. He sees things for us that we would never imagine or dream. He makes them a reality for us. If you are struggling with something, put your faith, hope and prayer into it. God has such a way of showing us what He wants from us in our lives, and I remain both joyful and thankful for that! How has God worked in your life to turn struggles into something good? We are back from vacation and had a light week transitioning back into being at home! Hope you all are doing well and as always, thanks for stopping by! Disclosure: This post contains affiliate links and I will be compensated if you make a purchase after clicking on these links. Thank you for your continued support to my site! The Beginner's Bible Stories About Jesus by: Kelly Pulley - check out my review on this book here! Monday - Today we read The Magic School Bus: Lost in the Snow by: Joanna Cole. Tuesday - B did Lesson 83 in "100 Easy Lessons." Wednesday - We read stories today in Ranger Rick Jr. magazine. Thursday - The boys did the lesson "Into the Clouds: Jesus Returns to Heaven" on the free Bible for Kids app. 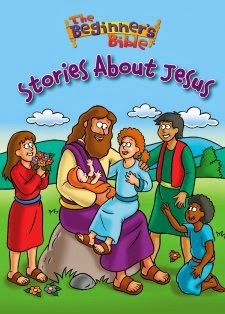 Friday - We read The Beginner's Bible Stories About Jesus by: Kelly Pulley and B also did Lesson 84 in "100 Easy Lessons." Only 16 more lessons to go! Tuesday - B drew pictures on the art easel. Wednesday - B drew a gorilla from the Ranger Rick Jr. magazine. Thursday - The boys played outside with their friends in the neighborhood, running around and playing on the playground. Friday - The weather's been really nice and we enjoyed another day outside playing on the playground. Tuesday - B had to answer reading comprehension questions. Wednesday - Ranger Rick Jr. magazine is an awesome magazine the boys' Grandma gets for them because she knows how much they love animals. We had fun today doing I Spy games and Look and Finds in the magazine. Thursday - We went to the library today and the boys had a chance to interact with other children. Friday - We had a playdate today with cousin and B had to answer reading comprehension questions. The boys also had a blast at a store where the cashier let them ring up some of the items and print the receipt. They thought that was awesome and it was very kind of her to offer. Tuesday - B wrote: The, Three, Bears, Problem, and Giant. Monday - B did Lesson 14 - Math: Shapes Practice in ABCmouse. Tuesday - B watched Peg + Cat on Netflix and it was the episode of "The Three Bears Problem/The Giant Problem." He learned to count to 100 by 10 and I showed him the trick of writing out numbers 1-10, and then adding a zero at the end to show him writing 10-100. We also had some counting pelicans in the Ranger Rick Jr. magazine and had to decipher which birds were pelicans, and which were not. Wednesday - We read Me Counting Time by: Joan Sweeney today which is a cute and colorful story on learning about time from seconds to millenniums! Monday - B did Lesson 13 - Reading: All About Impalas in ABCmouse. We also learned about water freezing to make snowflakes in the Magic School Bus book. Tuesday - Ranger Rick Jr. magazine for May 2015 is all about animals who live in a meadow so we learned about spiny ord weaver spiders, pelicans, frogs, javelinas and a gerenuk. Thursday - At the library today, the boys learned more about butterflies and got to touch and feel them, and the plants that they eat from. 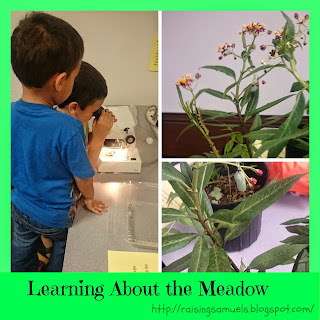 They were able to use a magnifying glass and microscopes, and they absolutely loved that! We saw butterfly eggs, a pupa, and a caterpillar growing on a plant and we were allowed to take some plants home to make our own butterfly garden. At National Wildlife Foundation, you can learn more about how to make a butterfly garden and even take a pledge to start your own garden to save the butterflies. They will send you some free seeds and info on how to do this, and also enter to win a trip for 4 to Walt Disney World! But hurry, because the offer ends May 15, 2015. B also completed Lesson 15 - World Around Us: Earth in ABCmouse. That's our week! 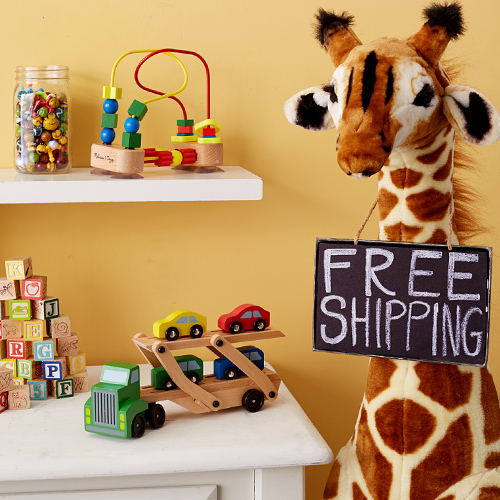 Thanks for stopping by and feel free to check out the awesome family freebies and deal below! I was provided a complimentary copy of this book from the publisher through BookLook Bloggers for an honest review. My sons and I love The Beginner's Bible stories and this book was no exception! There are seven mini stories included in the book starting from the birth of Jesus into adulthood, and ending with his resurrection that saved us all. It is a padded board book, so the inside pages are nice and hard, but the outside is softer. This is wonderful to have this kind of durability for books that are treasured and loved! The writing is very simple to understand and I believe any first or second grader would have no problem reading this book by themselves. Unless of course they wanted an adult to read it to them! My oldest, who is five is learning how to read and he knew many of the words in the story. I like that the writing is easy to comprehend and the illustrations are so lively and colorful! We do many of these books as bedtime stories in our house and my boys love falling asleep to the heroic and true events depicted in The Beginner's Bible series. I think this book was their most favorite so far because it is all about Jesus. They adore the pictures and the stories, and I enjoy the fact that they are getting to know more about our Lord and the Bible. I would highly recommend this book to anyone. Even though it is a children's book, the concepts included in here could be understood by anyone. It is a terrific book for family to read and share together all the greatness that the Lord has done. If you would like more information on the book or the author, please click here. Disclosure: This post contains affiliate links and I will be compensated if you make a purchase after clicking these links. Thanks for supporting my site! Here is something many of your probably don't know about me. Before I became a Mom, I worked as a substitute teacher and an Admissions Counselor at a college. I love education and even though I ended up homeschooling my own children, I have many friends and family who are teachers. We are all educators though. As parents alone, we are educators. Educators make learning fun in a unique and interesting way. As educators, we are leaving a foundation for future generations. Educators nourish, love, and encourage children. Education has such an impact on ourselves and our little ones. Educents is here to help you pay it forward. 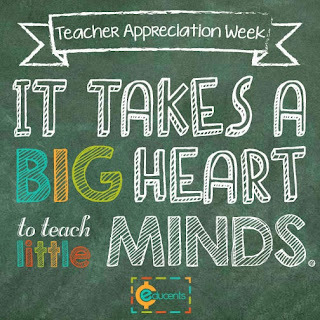 In honor of Teacher Appreciation week, Educents & Peekapak have teamed up to provide your favorite educators with a gift basket worth over $40, which includes a FREE $10 Educents GiftCard & 3 months of Peekapak lesson plans (3 digital storybooks, 12 in-class lessons & 12 at-home activities) that teach Character Education and Language Arts. Honest is all about celebrating moms (and dads too! ), they are including a free Aromatic Soy Candle (a $19.95 value) with every first bundle purchase between April 27th and May 10th! Enter promo code CANDLE4MOM at checkout. Offer valid between 4/27/2015 - 5/10/2015 11:59pm PT. Offer only valid for first-time bundle customers on honest.com. Comes in a lovely, 8 oz recycled glass tumbler. Available in three delicious scents — Gardenia Jasmine, Lavender Vanilla, and Orange Cypress! Give mom hours of much–needed delight and relaxation with Honest's natural, non–toxic soy wax candle — made only of non–GMO soy, essential oils, and unadulterated plant extracts. What other moms have had to say: " I cannot tell you how many times I have wanted to order a candle with my monthly bundles, but I just never got around to it. Now that I have, it's sealed the deal that I'm in love with Honest's products." Happy Teacher Appreciation Week to all the educators, and a very Happy Mother's Day to all the Mom's! 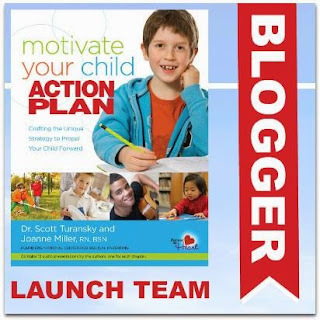 I can't tell you how excited I am that they are getting ready to release the Motivate Your Child Action Plan. I am reading this right now and it is filled with exceptional parenting advice from a Biblical perspective. It is a book that offers solutions and insight to many struggles with deal with as parents. It is a companion to the book, Motivate Your Child by: Dr. Scott Turansky and Joanne Miller, RN and you can check out my review of that book here. I will be posting a review of the Motivate Your Child Action Plan soon, but here is some exciting news for you! 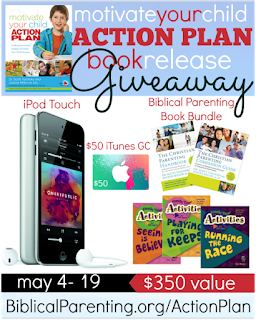 To celebrate the release of Motivate Your Child Action Plan, we are joining other members of the Launch Team in a wonderful giveaway filled with an iPod Touch, $50 iTunes Gift Card and several biblical parenting products! A value of nearly $350! Enter the Giveaway using the Rafflecopter below! This giveaway is open INTERNATIONALLY to those 18 years of age or older. Void where prohibited by law. 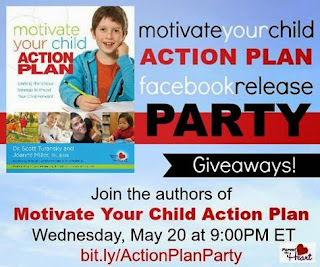 Join us for the Action Plan Facebook Party on Wednesday, May 20 at 9:00PM ET. There will be even more prizes and giveaways there and the authors of Action Plan will be present to answer your questions! The winner of this giveaway will be announced at the Facebook party! RSVP here for the Party!